Här har vi en HDMI splitter med 1 ingång och 2 utgångar. Splittern har stöd för 4K (3840x2160) upplösningar, 8-bit color och HD Ljud. 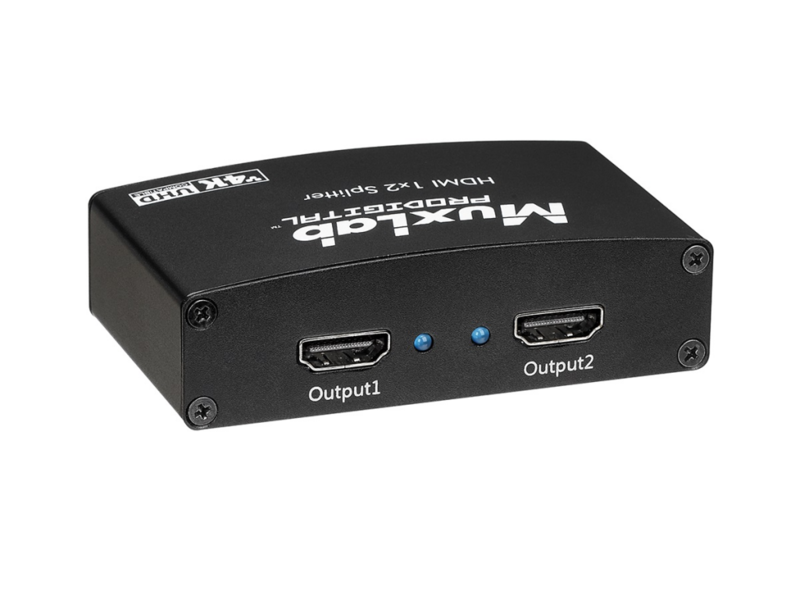 The HDMI 1x2 Splitter allows one (1) HDMI source to be distributed to up to two (2) HDMI displays. The splitter supports up to 4K (3840 X 2160), 8-bit color and HD audio. 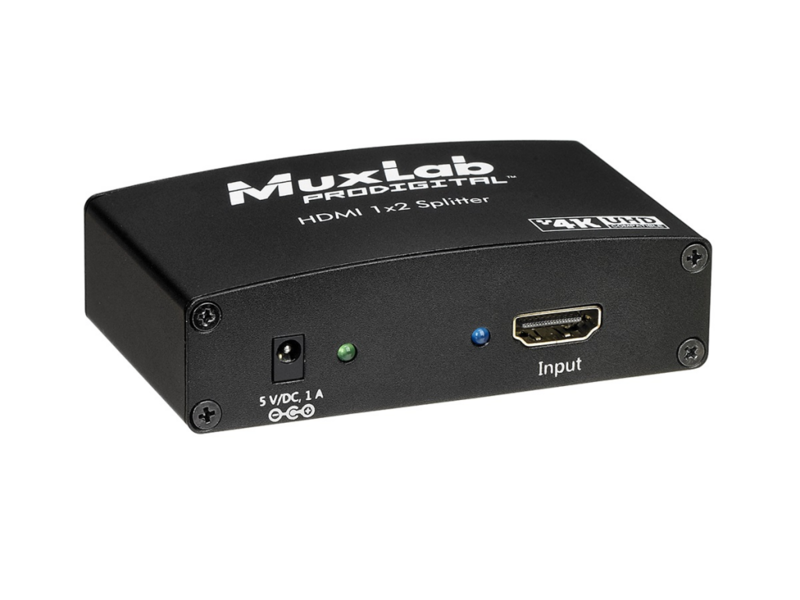 The splitter is HDCP 1.3 compliant and features LED diagnostics. Additionally, all HDMI connectors are on the rear panel for neater cabling. Applications include: commercial and residential AV systems, classroom projector systems, digital signage, boardroom systems, collaborative PC systems, medical information systems.